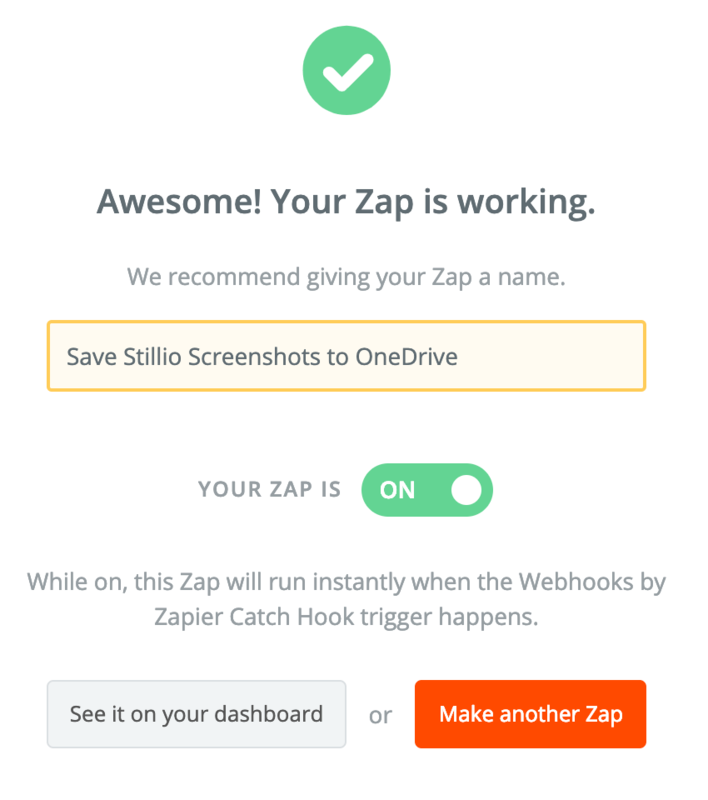 Stillio lets you sync all screenshots to a OneDrive account by using Zapier. ⚠️ To start, follow all steps in the Sync to Zapier doc first. Once you have set up your webhook trigger, you can continue to create an action in Zapier. 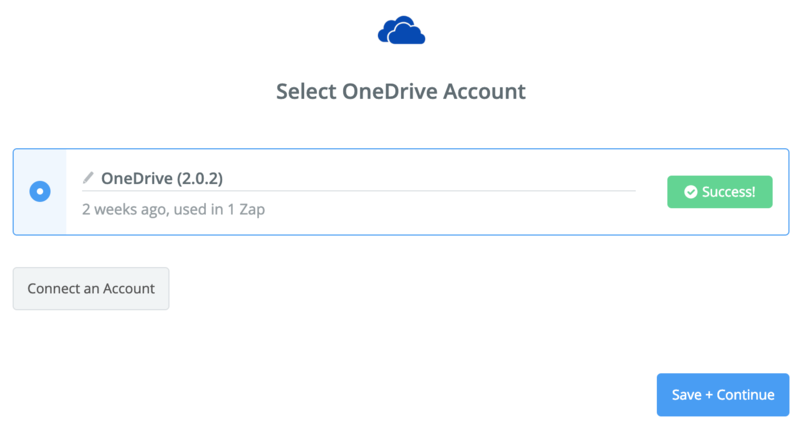 Search and select the "OneDrive" app. 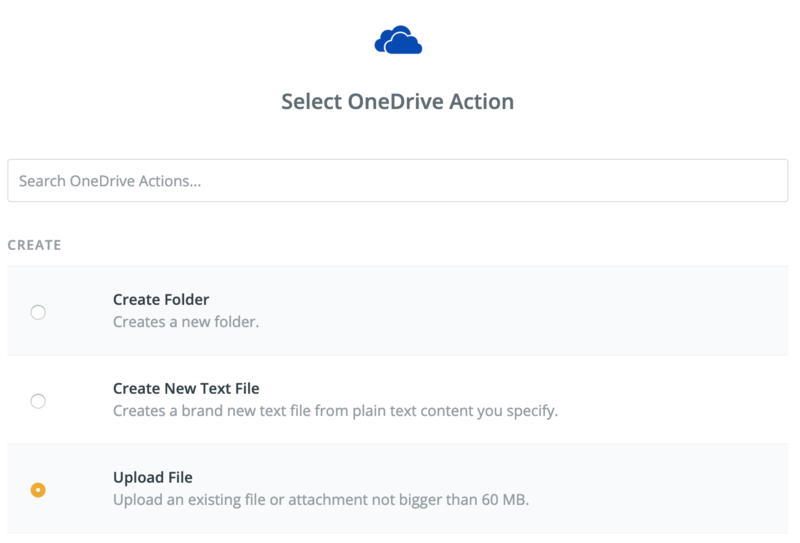 In the next step, you need to Select a OneDrive Action. Select "Upload File" and Save + Continue. Folder - Select a folder in your OneDrive account. You can only select (and not create) a folder here, so you might want to create a new folder in OneDrive first, e.g. "My Stillio Screenshots". 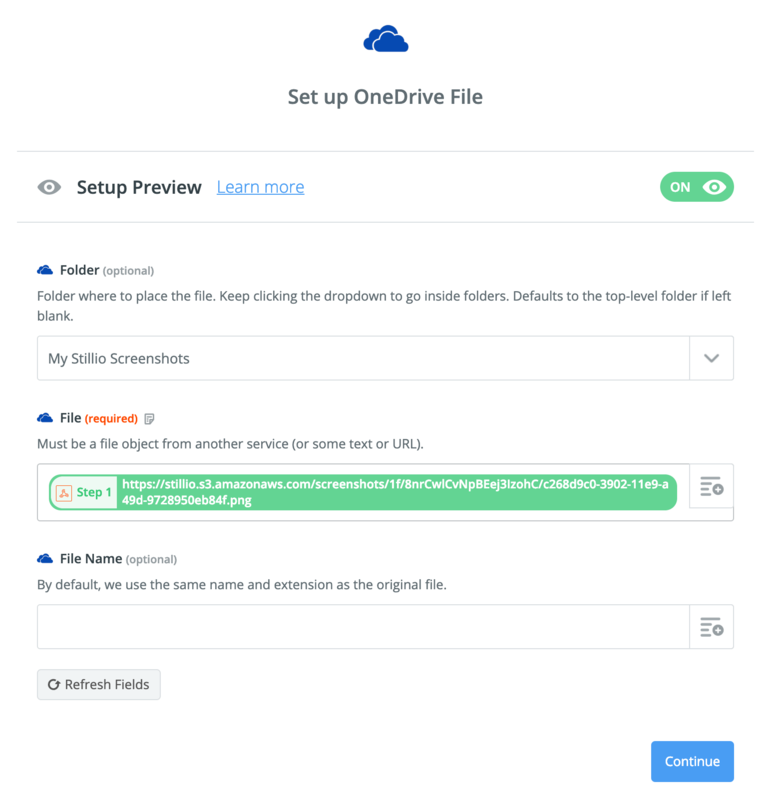 In the next step, you let Zapier send a test file to your OneDrive account. Click "Send test to OneDrive". 🎉 Congratulations! Your Stillio screenshots will now be saved to your OneDrive account.